Apple is looking at ways to have an iPhone to unlock and pay for a 'Project Titan' self driving car, a feature that could have wider use in the taxi industry, and in self-driving systems. The keyless entry and remote unlocking systems available today are useful, but have their limitations. Conventional systems use single-factor security, with others vulnerable to man-in-the-middle attacks, making them less secure than they could be if improvements were made. There is also the issue of the vehicle knowing only that a key fob is being used, but not who is using it. A stolen key fob would easily allow access to a vehicle for a thief, as current systems are simply incapable of recognizing who is present. 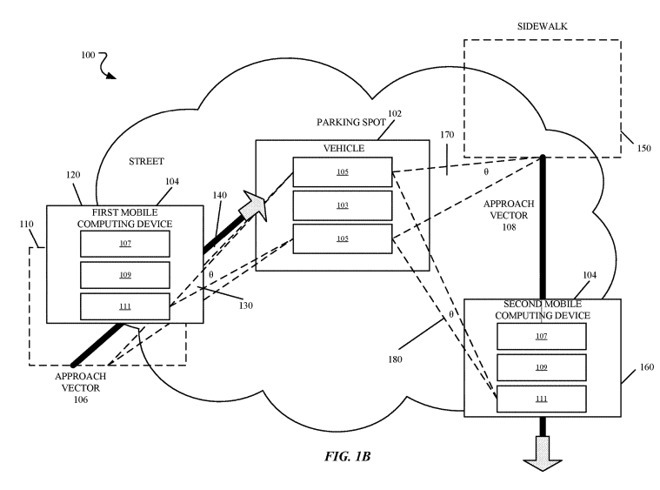 Apple believes it may have come up with an alternative solution, in a patent application published Thursday titled "System and method for vehicle authorization," with multiple elements potentially enhancing a vehicle's security. The first element it focuses on is positioning, as it attempts to look for an ultra-wideband "hardware device" that can transmit and receive. Using multiple transmissions between the vehicle and the device, it could determine the position of the device, and if it is in specific regions relative to the car, can trigger events such as unlocking the nearest door while leaving the remaining doors locked. A second key element is the use of biometric security, by performing some sort of authentication at the remote device end to confirm a person's identity. This would feasibly allow only authorized users access to the full range of a vehicle's capabilities, but may still allow elements such as gaining entry but blocking the ability to drive for specific nominated people. Interestingly, many of the claims mentioning biometrics are made in relation to payments. In theory, this could be used by a car hire firm to allow customers to access a vehicle, paying using their mobile device which could also be used as their key. Such a concept could easily allow for customers to hire cars from a lot, without needing to book or deal with counter staff beforehand, speeding up the overall transaction. There is also mention of how a vehicle "autonomously travels to a location" sent via a secondary communication as part of the process. 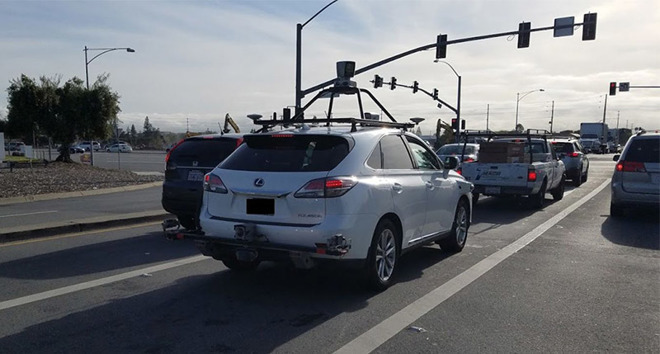 While this could refer to a vehicle driving itself to the user's position for kerbside pickup, it could also point to a potential use for ride-hailing services using self-driving vehicles. As always, Apple files a number of patent applications on a weekly basis, and while they do indicate areas of Apple's interest, it does not necessarily mean the described concepts will make their way into future consumer products or services. This is not Apple's first crack at the idea of refined keyless entry. 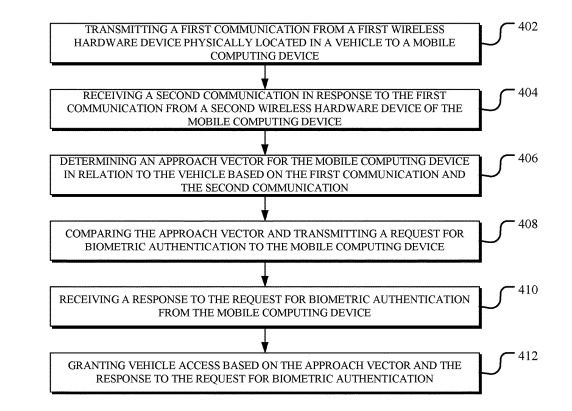 One patent application from August described a similar system of using an iPhone-like device as a keyfob, but differed in not mentioning payments and dictated the use of RF-based hardware, instead of specifying ultra-wideband communications. Apple is also a member of the Car Connectivity Consortium, which produced a "Digital Key" standard in June that proposed the use of an NFC-enabled smartphone to act as a car key. The company's "Project Titan," developing self-driving vehicle systems, could also be a potential target for the patent application. In 2017, it was reported the project's long-term goal was likely to use the technology in the ridehailing market, which would effectively allow self-driving vehicles to operate as taxis without needing a dedicated driver, a prospect that could result in cheaper fares for consumers and increased profits to operators.